From 22nd November, only vape products (e-cigarettes and e-liquids) that comply with all the requirements of the Tobacco and Related Products Regulations 2016 (TRPR) can be manufactured or imported to the UK. Whilst IBVTA members have worked hard and spent a significant sum of money to meet this deadline, it must be noted that some companies have been entirely (and often wilfully) ignorant and unprepared for their responsibilities under new regulations. Vaping proponents and advocates of Tobacco Harm Reduction in general have been baffled and confused by the curious inability of the BMA(British Medical Association) to change its policytowards e-cigarettes . As an example of this, simply type search e-cigarettes onto their website a plethora of negativity results. 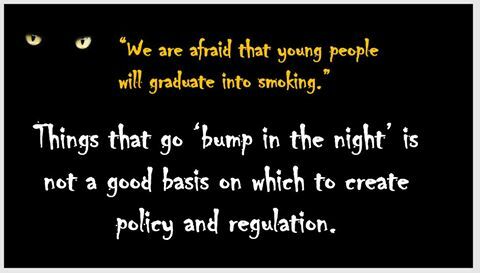 I have been very depressed about the constant untruths spread by the anti-tobacco industry to undermine vaping. I’ve even stopped reading stuff with ANY negative content. It simply goes on, and on and on. Information about vaping is rolled out that simply isn’t TRUE! How can untrue information be spread as if it is the truth? Earlier this month, Freedom to Vape produced an excellent report after FOIing every local authority in the country to ask their policy on e-cigs at work. It was riddled with explanations oozing laziness, ignorance and often quite shocking disregard for its staff, as I wrote about here. Thank you to everyone who worked hard to get their submissions into us last week. Up until the deadline of 21 November, we received over 10,000 product notifications on the EU-CEG portal, though are aware that some of you are still experiencing difficulties with the submission process. In this email, we discuss the EU-CEG, non-compliant products, invoices, publications and submitting new products. . .
A primary school head teacher has warned parents that children found with e-cigarettes face being excluded. There has been a “worrying” increase in the number of pupils caught with the devices at Lowerhouse Junior School in Burnley, said principal Claire Holgate. In a letter to parents, she said it was “incredibly concerning” nicotine products had been found. Despite all tobacco control efforts, reductions in smoking prevalence in Belgium—much like in most other countries in Western Europe—appear to have stalled over the last decade. Yearly surveillance of smoking among samples that are representative of the Belgian population (aged 15–75) shows that in the most recent period 2011–2015, smoking prevalence kept hovering around 25 %. Many smokers claim to have the intention to quit and many make actual quit attempts, but the vast majority are unsuccessful. Canada’s federal government is at last making an effort to clear up the country’s notoriously vague vaping laws – and might be doing a better job than the EU and USA. Meanwhile another American medical journal has published a misleading study about the safety of e-cigarettes, this time claiming they could cause bronchitis in teenagers. The EU is also gearing up for a fresh attack, launching a public consultation on taxing e-cigarettes as a tobacco product. In more positive news, though, British vape shops offered to help a homeless man whose e-cig had been stolen – a compassionate gesture that shows the industry at its best. The misleading information being spread to the public by vaping opponents, including prominent health agencies like federal, state, and local health departments, has become out of control. It threatens to do immense public health damage by protecting cigarette sales at the expense of a much safer alternative – electronic cigarettes – and at the same time it also threatens the reputation of public health agencies. This installment of CASAA’s newsletter was originally intended to come out in October. But, we were on an RV traversing the country lending the consumer voice to raising awareness about tobacco harm reduction and the legislative challenges we’ll be facing in 2017. Of course, in the wake of the US general election, we are looking at a significantly different political landscape at the federal level. Tobacco giant wants to register..
It’s been peddling cigarettes for more than a century – now British American Tobacco is striking out. Its subsidiary Nicovations New Zealand has asked Medsafe to register its metered dose nicotine inhaler as a lower risk medicine. Professor Julian Crane of Otago University believes the product has potential. The New Zealand Taxpayers’ Union, Australian Taxpayers’ Alliance and MyChoice Australia have jointly launched a report calling for the governments on both sides of the Tasman to legalise, and lightly regulate new technologies to help smokers quit. The report, E-cigarettes: Reducing the Harm of Smoking, is available to view and download from http://taxpayers.org.nz/e-cigs_report. It’s been a busy week hence scarcity of content here these past few days, but a tweeted pic from Wednesday deserves a wider sharing. As an example of how pointless, absurd, staggeringly stupid and tyrannical state vandalism can be, the proposed format for e-liquid bottle labelling after implementation of the EU Tobacco Products Directive (TPD) in May next year can’t be beaten. The rain formed grey lines across the cityscape. Dull buildings reached up into the sky in vain attempts to touch the oppressive clouds that robbed everything of its hue. While the little people below scurried from doorways to taxis to computer screens, Vapeman looked on. Crouching on the rooftop, he reached inside his cape for the bottle in the utility belt. The contents were meticulously added to a wick while arching over the device to protect it from the torrential deluge. Everything held a reflective sheen, a steel aquatic shroud. The bottle returned to safe storage, he raised the copper tube to his mouth and inhaled….